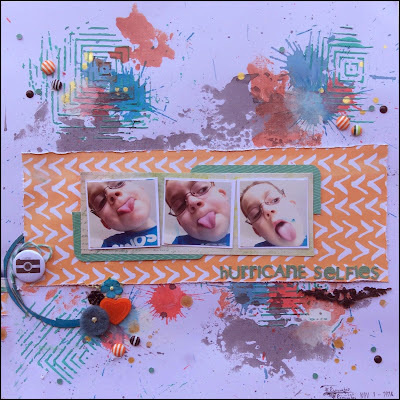 Lots of mixed media fun on this background with smoothing, splatting with distress stains and gesso mixed with stencils. So love how this came out! 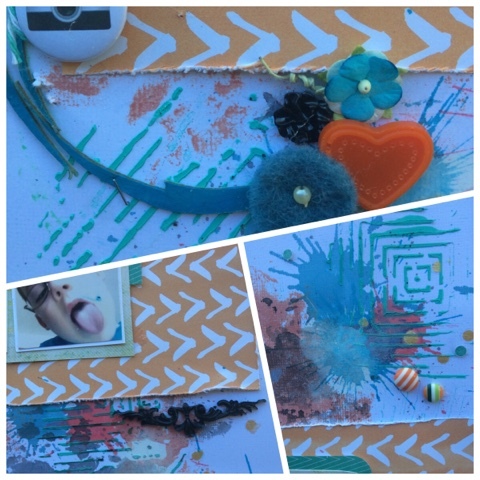 ..
Tim holtz distress stains in broken China, abandoned coral and picket fence. HS colour shine in gold. Black flourish, orange heart and Striped resin dots from cycloneboonty_pl_goodies. Very cool background work and just love the colours. Thank you for playing along with STB. Had a giggle at those photos! Great page and love your background work. Thanks for playing along with us at STB.